Opinions that are not four years old have reached a staggering level. Soon after the criticism of each other, it was quickly adapted. But after the recent Union Budget, the weather changed. The Telugu Desam Party has stirred up the allegations that Congress is in the middle of the party during the partition of the Union Budget. The BJP leaders have been hottering the heat by making personal criticisms of Chief Minister Chandrababu about the misuse of funds. The National level leaders have focused on state politics as the Union Home Minister Rajnath has made phone calls and challenges them to make difficult decisions and not to make difficult decisions, as the friendship with the BJP and the Union government can not tolerate such a disadvantage of participants. National level leaders have focused on whether the BJP and TDP will remain in the state with attempts by the regional parties and other national parties to strain the Congress and the BJP, which are crucial in the other states of the country not in the BJP. The dissatisfaction of TDP leaders who have been unfair to the state came to the national level. The question is why the Neha could have a huge friendship between the BJP and the TDP, which has a good friendship and relationship between the state and the state at the national level. In the latest Budget, the central government has not seen the state benefits of the state without looking at any other specialty in the sense that it is due to a report from the state that the BJP's leadership has been reported by some leaders of the BJP. In the southern states, the BJP has intensified efforts to grow up on its own. The strong party in Karnataka has already focused on two Telugu states. The national leaders of the party have been asked to study the situation here and give a report. The party leaders sent a report. According to the report, the report has made it clear that the name given to the central government in the state is credited to the name of Chandrababu. They are reminded that the center is funding the health, food security and poor households. The report also revealed that Chandranna Insurance, NTR Medical Service, and NTR Housing Scheme are being promoted as their own schemes. Leaders have taken a look at the high command to prepare the food security scheme under the name of canteens. In the report, it is clear that the funding of the funding is also of interest to the financial assistance as stated in the Partition Act. In such circumstances, it seems that the party can not rise to power at the moment. The leaders of the study have sent a report to the BJP where the BJP will take the place where the party will come to power in the forthcoming elections even if the tie continues. If the central government does not specify a special assistant to the state budget in the Budget, the TDP will protest, saying that if the central assistance does not help the state to survive it is difficult to go to the public and recognize the importance of the central government. It is noteworthy that people will learn central assistance if they do not have a budget exclusively and thereby suggest that TDP will be able to demand higher positions in 2019 elections. 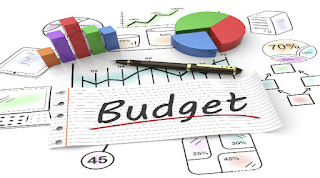 As per the report, the Budget state-level senior leader said, "The next step is that the budget is not specifically seen in the budget. He said that people are now aware of the need for central government cooperation and recognizing the style of TDP. Interest in what will happen in the coming days has become a debate in all political parties across the country.